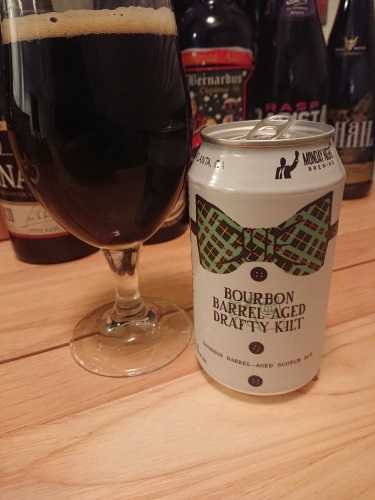 The chocolate, caramel, and roasted malts in Drafty Kilt complement the charred oak and vanilla notes in the bourbon barrels quite well. Notice we didn’t say "“compliment." Scotch and Bourbon still don’t send each other Christmas cards.